Danny recently finished her degree in Chemical Engineering and is gearing towards the next stage of her life, which is finding a career. Her supportive partner, Lee Miller, decided to give her a suit as present in preparation for her upcoming job interviews. This particular suit, however, was unlike any other. Danny loves retro fashion that she requested to have something classic and iconic. Lee thought it was going to be a piece of cake. There are many tailors in Burgas, the second-largest city in Bulgaria. After weeks of searching, many refused after hearing what Danny wanted – a suit reminiscent of the 1961 autumn/winter collection by Coco Chanel. The very few ones who agreed to make it also didn't click with Danny. Lee tried posting the jobs on several websites and out of the dozen he tried, only one worked for him – Freelancer.com. "Within an hour of posting the project on the site, I selected our freelancer," he said. After a short conversation with their selected freelancer, Michela, they immediately hired her. "She was totally in the know! Her works have been featured in Vogue and Dazed magazines," Lee said. An Italian designer, Michela has more than 10 years' experience designing womenswear. Her designs have appeared at luxury brands Valentino and Salvatore Ferragamo, and she created her own independent label in 2010. 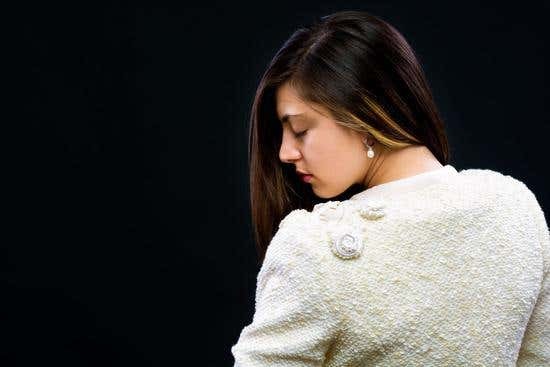 Michela worked without supervision to create the Chanel-inspired suit. "We gave her full control over the design. We didn't even pick the fabric. She just knew with 100 percent certainty what would make Danny go, 'Yes! That's it! '," Lee said. As Danny unwrapped the package containing her dress, skirt, and suit jacket designed especially for her, she couldn't help but feel overwhelmed with combined joy and awe. "The garments are so beautiful that we have decided to convert a spare room into a walk-in closet to properly store it along with the many more customized pieces to be created. It's difficult to explain, but we can't bring ourselves to put them on a cramped rail with all our other clothes. It's like putting a Degas in an Ikea frame," Lee said, amused. They have already commissioned Michela to design and tailor more. She is currently working on a full-length black wool coat with fur or velvet collar and matching muff. "She's awesome to work with. She makes sure to listen to Danny's requests and sends us photos every day to show us her progress," Lee said. Since purchasing personalized garments, Danny's perspective on fashion changed. She no longer wants to buy from shops because she believes all of them pretty much sell the same. Going retro allowed her to appreciate a classic design, be different, and get high quality garments without paying exuberant amounts for the label. Although it was a different and challenging project, the couple was pleased with their experience at Freelancer.com. Lee already had a lineup of other jobs posted at the site. He had a logo designed, pages translated, and hired someone knowledgeable about the American FDA classification for his online cosmetics business. Lee spent weekends reading FDA documents or contacting companies in the US to do the job but found these to be time consuming and costly. "Through Freelancer.com, I can have multiple skilled people solving multiple problems all at the same time. I have virtually instant access to an unlimited number of specialists. I no longer "Google it", I "Freelancer it," Lee said. Need something done? Post a project!